Does your home sometimes feel like just a place to eat, sleep, and change clothes on the way to the next activity? Do you long for 'home' to mean more than a place where you stash your stuff? Wouldn't you love it to become a haven of warmth, rest, and joy . . . the one place where you and your family can't wait to be? There is good news waiting for you in The Lifegiving Home. Every day of your family's life can be as special and important to you as it already is to God. 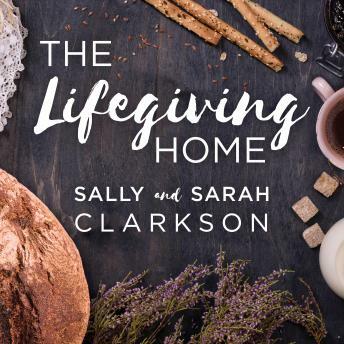 In this unique book designed to help your family enjoy and celebrate every month of the year together, you'll discover the secrets of a life-giving home from a mother who created one and her daughter who was raised in it: popular authors Sally and Sarah Clarkson. Together they offer a rich treasure of wise advice, spiritual principles, and practical suggestions. You'll embark on a new path to creating special memories for your children; establishing home-building and God-centered traditions; and cultivating an environment in which your family will flourish.